Thrombophlebitis is a condition that occurs due to inflammation and the formation of blood clots in the veins.Most often, it affects the surface veins of the lower extremities (those that are closer to the skin surface). The condition is usually accompanied by irritation of the vein mucosa on the background of, for example, prolonged intravenous administration of drugs or the development of infection. In 90% of cases thrombophlebitis occurs in the lower extremities; however, it is also sometimes determined in the hands or, more rarely, in other parts of the body. While there is a very small risk of clotting into deeper veins, serious complications associated with thrombophlebitis are rare. Despite the relatively favorable prognosis for thrombophlebitis, nevertheless, the approach to treating the disease is extremely serious. This will avoid severe complications such as gangrene. Deep venous system located inside the muscle and its fascia. 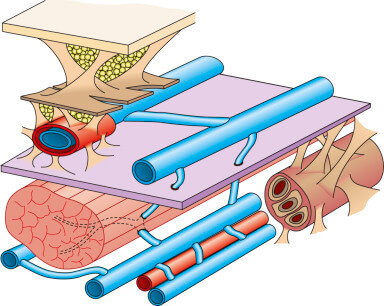 Surface venous system under the skin and subcutaneous fat layer. According to the anatomical location, the surface veins are separated from the deep veins by muscular fascia. The deep venous system (GVS) of the lower extremities is within the muscular fascia. This allows her to feel the effect of tone change during muscle relaxation. Thus, DHW is the only structure able to independently change its volume.Surface veins are in an extra-factional position relative to the muscles (that is, they are closer to the skin). The venous outflow is about 10% of the total blood flow at rest, greatly increasing in dynamic conditions due to the physiological alternative contraction-relaxation of flexor flexor muscles. The muscles of the lower extremities act as a peristaltic pump and as a dynamic reservoir, causing compression (contraction) or stretching (relaxation) of deep veins. The result is an effect on the venous sole of the foot and, above all, on the movement of the ankle joint with a certain amplitude. In thrombophlebitis, a thrombus is formed in the vein, which causes symptoms such as edema and pain. Thrombosis develops, which in the future can go into thromboembolism. In the development of the disease, trophic tissue of the legs is disturbed, which causes the formation of wounds and ulcers. Surface thrombophlebitis (PT): If a vein that has a clot is directly under the skin, it is called superficial venous thrombosis or surface thrombophlebitis. This type of clot usually does not get into the lungs, unless it reaches deep veins. But superficial thrombophlebitis may be painful and require treatment. Deep Vein Thrombosis (DVT): If the thrombus is in the veins deeply in the body, it leads to the development of deep vein thrombosis. This type of bundle can move along the vessels to the heart, and then fall into the lungs and block the bloodstream in the pulmonary arteries (pulmonary thromboembolism). In severe cases, it can lead to death. Most DVT require immediate treatment. Hypodynamia or lack of movement after a recent injury, surgery, or prolonged seating. Accepting oral contraceptives or estrogen therapy. Stroke or other pathologies that restrict movement. Hereditary predisposition to violations of the blood coagulation system. Central venous catheters (used for injections of medications or for dialysis). Age older than 40 years (although clots can be formed at any age). Complications of superficial phlebitis may include local infection and the formation of abscess or clots, as well as progression to deep venous thrombosis and pulmonary embolism. When, with pronounced deep venous thrombophlebitis, the veins of the feet are seriously damaged, this can lead to post-flap syndrome. Post-fluticidal syndrome is characterized by chronic swelling of the affected leg and may be associated with pain in the leg, discoloration of the skin and ulcers. Deep vein thrombophlebitis (DVT) can be caused by two possible mechanisms. Direct contact of the thrombus from the superficial vein to the deep to the level of the subcutaneous-femoral articulation, subcutaneous-poplite joints or perforated veins. This mechanism is most obvious. DVT can also occur as noncontinuostromboz, in the ipsilateral or contralateral leg. Damage to the valves of deep veins leads to chronic insufficiency of the deep venous system of the lower extremities (often referred to as post-flutic syndrome). In severe cases, a recurrent pulmonary embolism (LE) occurs, resulting in a sharp increase in the risk of death. Surface thrombophlebitis (PT) is a relatively common inflammatory process associated with the formation of a thrombus that affects the surface veins close to the surface of the body, and leads to their inflammation (phlebitis). Surface thrombophlebitis of the lower extremities has long been considered benign disease, with a mild clinical diagnosis and requiring only simple conservative treatment. However, recent studies have shown that the course of this pathology is not always as benign and self-limiting as described. Surface thrombophlebitis can be caused by a trauma of the arm or leg, the presence of an intravenous catheter or the cause may not be known. Potential risk factors are the same as for those with deep vein thrombophlebitis. phlebitis and thrombophlebitis, complicating pregnancy, childbirth and postpartum period (O22.-, O87.-) . venous embolism and thrombosis of the lower extremities (I82.4-, I82.5-, I82.81-). Disturbance, which is characterized by inflammation of the vein wall. Inflammation (redness, swelling, pain and fever) of the veins, usually in the legs. Phlebitis may be caused by infection, trauma or irritation. 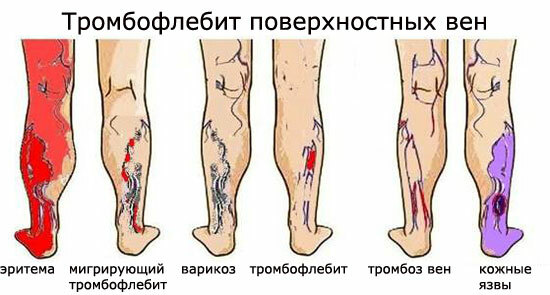 Inflammation of the vein, most often in the leg. Peripheral inflammation is an inflammation of the outer layer of the vein or tissues surrounding the vein. Codes for ICD-10 can occur when reading diagnoses. Their use allows doctors not to use such extensive terms. Clinical signs of thrombophlebitis can vary from one localization to another and manifest itself as a "thrombophlebitis migrating". Swelling legs or arms (sometimes it occurs suddenly). Pain or increased sensitivity in the area of ​​the clot. A feeling of increased heat at the site of the defeat. Red or discolored skin over the affected area. If thrombophlebitis causes pain or interrupts your daily activities, you should talk with your doctor about the treatment options. Symptoms and signs of superficial thrombophlebitis include local pain, itching, sensitivity, reddening of the skin, and sealing surrounding tissues. There are some data indicating the link between PT and venous thromboembolism (a condition in which thrombi are formed (most often) in the deep veins of the legs and can move along the circulatory system and settle in the lungs). Pain or sensation in the leg or arm, which intensify with time and do not pass. Swelling in one leg or arm. Reddish or bluish tint of the skin on one leg or arm. During the touch with the affected limb, there is a feeling of warmth. 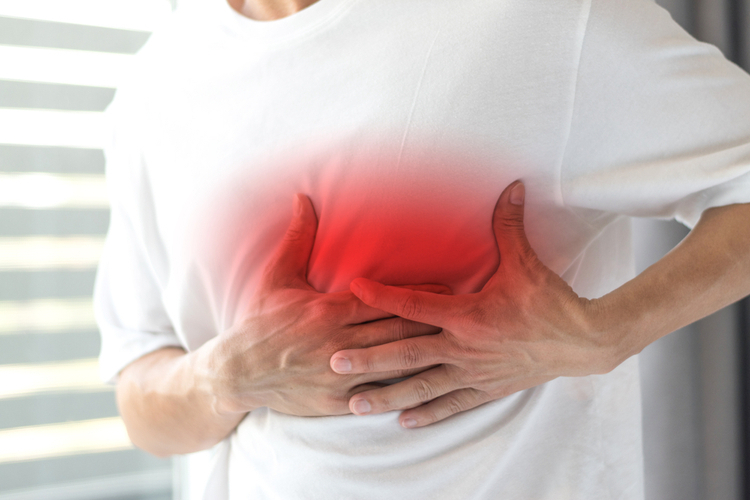 Chest pain or discomfort, intensifying with deep breathing or coughing. 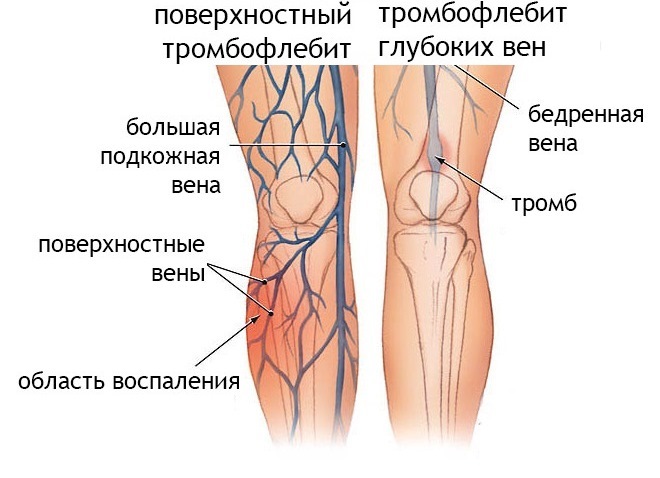 To diagnose superficial thrombophlebitis, the doctor examines the history of the disease (asks about the symptoms) and conducts a physical examination. Doctors are looking for signs of edema and enlargement of the calf muscles (due to swollen veins of the legs) to clarify the DVT. Ultrasound dopplerography (based on the use of sound waves to find blood clots in the vein). Magnetic resonance imaging (MRI) for visualization of blood vessels. Venography (using dye injection to track blood flow to the vein). Computer tomography (CT), conducted on suspicion of pulmonary embolism. The diagnosis of DVT is usually confirmed by the Doppler study . This is an ultrasonic diagnostic method that allows you to detect differences in echoes or sounds produced by the blood flow in the clogged veins. Ultrasound dopplerography makes it easy to detect the presence of blood clots in deep veins. A duplex scan is very useful for illustrating the level at which the thrombus is located. In addition, a duplex ultrasound may help to detect the presence of associated deep vein thrombosis (DVT), which is often asymptomatic and therefore not detected in clinical trials alone. A similar diagnostic method is recommended for all cases of superficial thrombophlebitis of the major trunk of the large subcutaneous vein (BPV) or the main trunk of the small subcutaneous vein (MIW). The treatment is aimed at alleviating local symptoms and preventing clot spreading into deep veins, relapse, or the development of more serious events caused by LE. Anticoagulation therapy, which may, depending on the indications, include rivaroxaban (a medicine called a direct oral inhibitor of activated factor X), injections of medicines for the skin to prevent blood coagulation (eg fondaparinux, low molecular weight heparin or unfractionated heparin). Local exposure based on the use of elastic compression stockings, drugs applied to the skin. As a rule, in order to relieve the condition with superficial thrombophlebitis, it is sufficient to undergo conservative treatment, whereas deep vein thrombophlebitis is often eliminated by surgical intervention. The main goal when treating superficial thrombophlebitis is to control pain and inflammation. Use of warm compresses in the area of ​​lesions. The use of drugs to reduce pain and inflammation. Supporting stockings can be worn to reduce swelling. Treatment with anticoagulants (blood diluents) by type of heparin (injection) or warfarin (orally for longer treatment).Pregnant women should not use warfarin, because it can harm the developing fetus. Non-steroidal anti-inflammatory painkillers (NSAIDs) such as ibuprofen. Lifting your legs, especially during your rest. Maintain physical activity at the acceptable level and do not sit too long. In most cases, treating patients with superficial thrombophlebitis involves only methods for treating pain and inflammation. In most cases, surface thrombophlebitis takes several weeks. Initial treatment for DVT or pulmonary thromboembolism is heparin or one of the new oral anticoagulants. These medicines act on certain blood proteins to prevent the formation of new blood clots and, therefore, help to become less unwanted bundles. They are commonly referred to as "blood disintegrators." There are two main types of heparin. The oldest type of heparin is best to administer by continuous intravenous infusion.Another type of heparin is called low molecular weight heparin. It is injected into the skin once or twice a day. Some of the new anticoagulants are approved for the initial treatment of thyroid gland and pulmonary thromboembolism.Examples include rivaroxaban (Xarelto) and apixaban (Eliquisis). If a DVT is determined without pulmonary embolism, hospitalization may not be required. In such cases, treatment is carried out at home by injection with low molecular weight heparin or rivaroxaban or apixaban. Some people may need to start therapy in the hospital. In this case, the type of heparin used is determined by many factors. These include body weight, functional condition of the kidneys and other circumstances. When pulmonary embolism is most often hospitalized. If this is the case, then you will probably be first using any type of heparin. But oral rivaroxaban or apixaban may be an alternative to heparin, especially if the pulmonary embolism is insignificant. If at the beginning of the treatment intravenous injections of heparin or low molecular weight heparin under the skin are carried out, then the doctor may transfer the patient to the oral medication. Traditional oral therapy was warfarin (Kumadin) . For decades, it was the only oral drug for treating DVT and pulmonary thromboembolism. 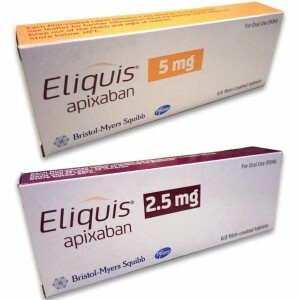 Today, besides rivaroxaban and apixaban, after another heparin, another new oral anticoagulant is used. This is Dabigatran (Pradaxa) . Also, even more of these types of drugs can be approved in the near future. Warfarin takes a few days to get started. As soon as the blood test shows that warfarin is effective, the patient is usually allowed to stop taking heparin. The continuation of warfarin usually occurs within a few months or longer. For the first few weeks of warfarin administration, frequent blood tests may still be needed to ensure that the correct amount of medication is prescribed. 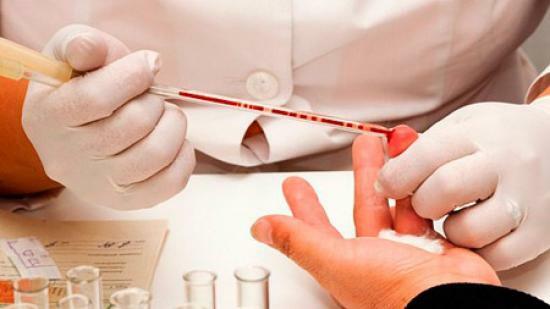 As soon as the blood test results show that everything goes within the normal range, then laboratory tests can be performed every two to four weeks. Some foods, especially green leafy vegetables that contain high levels of vitamin K, can alter the blood's composition, which means lowering the effectiveness of warfarin. To prevent this, you should ask your doctor or pharmacist for a list of these products. It is important to note that you can continue to eat these foods until they are eaten approximately the same amount each day. Thus, the effect on the medicine will be constant. Other medicines can also affect the performance of warfarin in the human body. It is necessary to tell the doctor who prescribes preparations, that it is necessary to accept warfarin. New oral anticoagulants do not require a regular blood test. They are taken in a fixed dose. Another advantage is not to worry about foods that contain too much vitamin K.
Thrombophlebitis may occur due to the use of a cannula or a catheter. In this case, the device must be retrieved immediately. Determining the septic state is a direct indication for the use of appropriate antibiotics. If purulent thrombophlebitis is suspected, an immediate and complete removal of all affected veins is carried out. The wound may be left open for secondary closing or transplanting of the skin at later treatment times. If the purulent process affects one of the deep veins, aggressive antimicrobial and anticoagulant therapy is required. 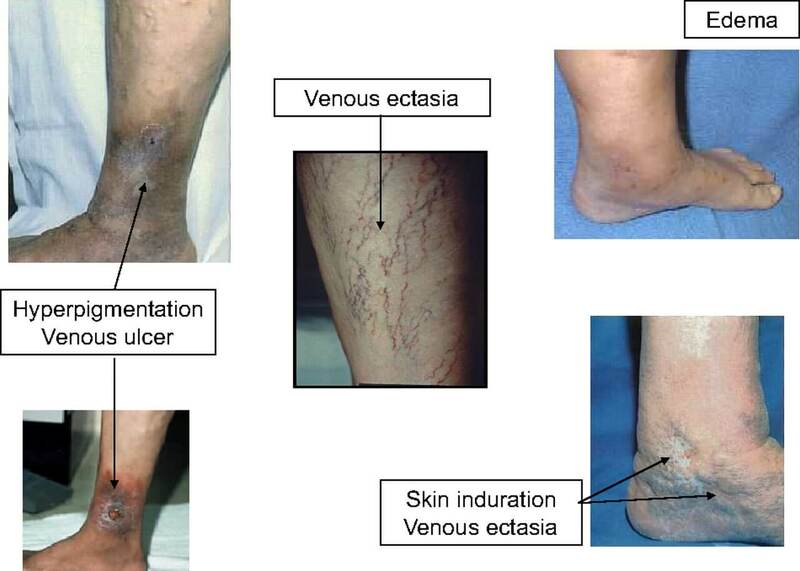 If it is believed that the venous segment involved in superficial thrombophlebitis is a source of bacteremia, its removal may not be carried out, but instead, its aspiration is carried out to cultivate the contents of the venous lumen. This can be useful in the presence of weakened immunity against phlebothrombosis and positive blood cultures. With superficial thrombophlebitis and varicose veins, the doctor may recommend surgical treatment. The combination of these diseases increases the risk of surface thrombophlebitis after it is eliminated. The best way to reduce this risk is to use surgical intervention or endovascular therapy to treat varicose veins and prevent them from returning. These procedures are performed by a vascular surgeon either in a specialized clinic or in an outpatient surgical center. Endovascular ablation . A special catheter (long, thin tube) is placed in the subcutaneous vein (the longest vein in the human body, it passes along the inner part of the leg). The catheter is injected, making a small puncture in the caviar. As soon as it is in place, electric currents (radiofrequency radiation) or laser energy are directed through the catheter into the vein. This leads to a stop of the reverse blood flow in the vein and the blood vessels of the vessels.The doctor can also combine this procedure with another to remove large varicose veins through very small cuts (outpatient phlebectomy). Endovascular ablation is a less painful and less invasive alternative to surgical retention and vascular removal, which is rarely used today. Sclerotherapy . A special solution is injected directly into the affected vein. It irritates the mucous membrane of the vessel, causing its swelling and gluing. Over time, the vessel turns into a scar tissue, which is defined as a connective tissue cavity. This treatment is performed in a clinic by a vascular surgeon. After its conduct, the patient's stay in the hospital is not expected. 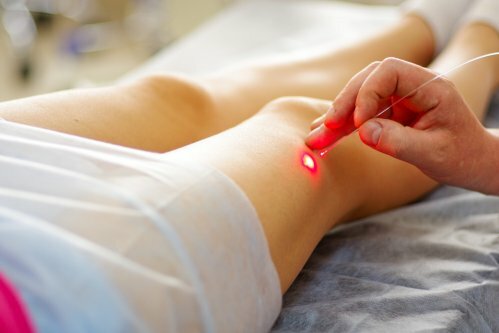 For one session, the doctor can perform sclerotherapy along with intravenous ablation, which makes it possible to take care of all the varicose veins on one or both lower extremities. Learn more about herbs and supplements. You can lift the affected leg. This should help to reduce the edema of the limbs, and with it will become less severe pain. It is worth trying to lean on your pillow, blanket or soft pad, especially during sleep and sitting. When possible, it is necessary to maintain a foot above the level of the heart. Pretty effective warm compresses . In particular, a warm, moist compress on the affected leg is made. The compress should be large, rather heavy and hot, wrapped around the limb, so that it gives off heat and has a soft pressure.Nevertheless, it is necessary to make sure that the compress can not burn the skin and stop blood circulation. If there is not something at hand that can be used as a big compress, a warmer or warm, warm towel will work . It is applied for 10 minutes several times a day. A warm compress can help relieve pain, reduce inflammation and improve blood circulation. Studies have shown that compresses from warm water can effectively reduce the symptoms of phlebitis. People with superficial phlebitis or mild superficial thrombophlebitis are often advised to maintain their normal activities.This helps prevent the formation of blood clots. Sometimes it is useful to even increase your activity, doing frequent walks, stretching, climbing the stairs instead of an elevator, etc. It is necessary to try not to stand for a long time or to sit in place for more than one hour, even at work or in a plane. It is possible even when you are sitting, legs to perform movements. Most people with phlebitis are advised to remain active. However, in rare cases, in the presence of serious deep-seated blood clots, a bed rest with a physiotherapy can be shown, which will allow the training of legs and hands safely. A randomized controlled trial showed that people with thrombus that had compression stockings below the knee had twice the chance of getting complications or another blood clot within the next five years than people who were not wearing them. However, this is not a short-term method of treatment. People in this study wore stockings within two years of determining the first blood clot. Wearing compression stockings to the knee or hips can help relieve pain, increase blood flow and reduce swelling. You can buy compression stockings at the pharmacy or through the Intensive Shop. It is important to know: you do not need to leave compression stockings at night, that is, during the night's sleep. Treatment for phlebitis usually includes anti-inflammatory drugs and blood thinners. Many natural herbs and supplements can have these effects, although not so pronounced. However, since they can interact with drugs and cause complications associated with bleeding and many others, it is not necessary to take them without prior consultation with the doctor. Natural blood thinners may be helpful if phlebitis is complicated by thrombus. In particular, it is often recommended turmeric, ginger, cinnamon, cassia, cayenne pepper, vitamin E and products with salicylates (avocado, cherries, berries, chili peppers). 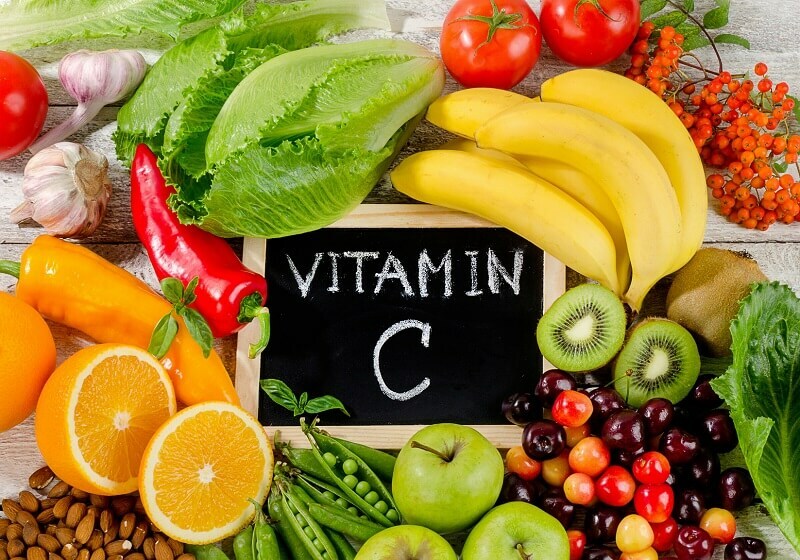 A randomized, controlled study has shown that vitamins of group B and folic acid can help reduce blood coagulation by lowering the level of homocysteine ​​in the blood. Additional doses in this study for people with venous thrombosis were 0.5 to 5 mg of folic acid, 0.4 mg of vitamin B12 and 50 mg of vitamin B6. This is the root of a plant used in folk medicine for the treatment of poor blood circulation, swelling of the legs, itching, varicose veins and other health problems. The plant may also have anti-inflammatory effects and may be effective in the treatment of chronic venous insufficiency. It is important to know that chemicals in this root can cause narrowing of the blood vessels, therefore it should not be taken without preliminary consultation with the doctor. It is used as an extract for improving blood circulation in people with chronic venous insufficiency, itching and edema.There are some studies confirming its efficacy in these related diseases. It is a component of some traditional phlebitis remedies. However, there are no high-quality studies confirming the effectiveness of the plant or its safety in thrombophlebitis. Traditionally, the Chinese medicinal tablet, made of four different herbs, called Hulisan tablets (HLST), has also historically been used to treat phlebitis. Although laboratory studies indicate that the herbs have drug efficacy, they have not been tested so that their utility in phlebitis is confirmed. Compliance with a diet that maintains the health of the blood vessels will eliminate the severity of the clinic in thrombophlebitis. It's important to know that supportive food may not immediately affect the symptoms, but over time it can help the blood vessels to stay healthy and strong. A lot of fiber . High-fiber foods should include whole grains, fruits and vegetables, legumes, nuts and seeds. Fruits and vegetables . Choose fruits and vegetables you need with high fiber and antioxidants, which also reduce inflammation, blood pressure and blood coagulability. A good option for this is avocado, Asian pears, berries, coconut, figs, artichokes, peas, bamia, pumpkin, Brussels sprouts, turnips, black beans, chickpeas, chopped peas, lentils, nuts, flaxseeds, chia seeds and cinema. Whole grain . 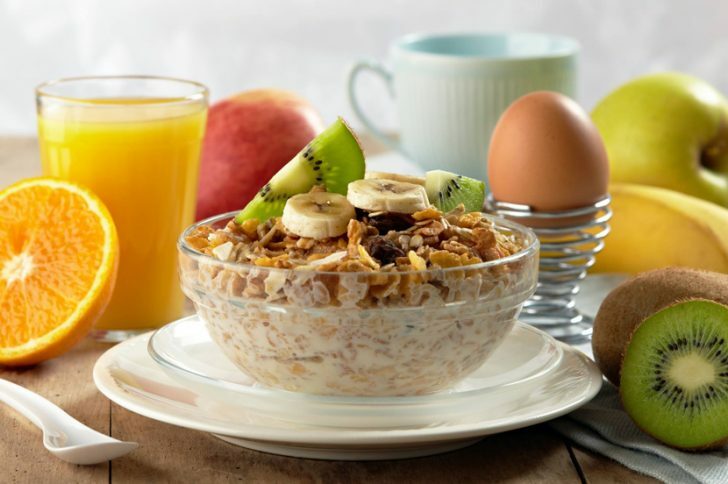 Most often oats, rye, barley, brown or wild rice, bulgour, buckwheat, cinema and much more are recommended. Unsaturated fats . They are omega-3 fatty acids, which in large numbers are found in fish, flaxseed, wheat germ, walnuts, avocados and vegetable oils. It is also useful to eat poultry, fish, nuts. 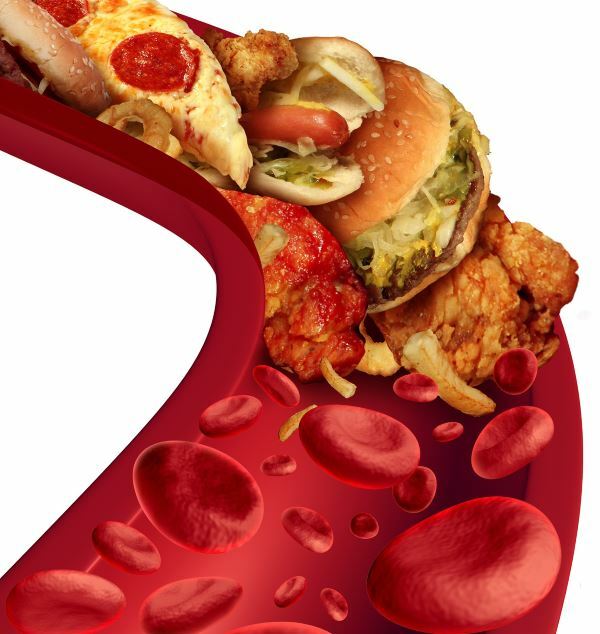 It is advisable to eliminate or minimize the use of red meat, sugar, sodium, and saturated fats or trans fats. Exercise is one of the important components of the regeneration of the venous system, but some exercises have a better effect on blood vessels than others. During charging, the blood is actively pumped back to the heart from the calf muscles and the feet. As a result, physical exercise contributes to a more complete blood circulation, which in turn minimizes the disease of the veins. Yet, there are exercises that are useful for the health of the veins, and those that are considered counterproductive. The best exercise for the healing of the lower limb veins is walking. This is a low-impact exercise that thoroughly trains the calf muscles, which is a peculiar pump. Due to their activation the blood flow improves. You should set yourself a goal to walk 30 minutes a day, at least five days a week. In particular, you can go to more distant shops, which can be reached on foot. In this environment, the veins will function more fully. Other low-impact exercises, such as cycling or elliptical exercises, are great for training calf muscles. At the same time there is no load on joints and bones, and the calf pump still improves blood flow. Running is a fantastic aerobic exercise that triggers the calf muscles and feet. At the same time, it may have an adverse effect on the joints. If a person is an avid runner, you can try running along a synthetic track or grassy surface, which will minimize the impact of cement or road surface on joints. Tense exercise can create a burden on venous blood flow. When blood flows through the veins of the legs back to the heart, it passes through the hollow vein to the abdominal cavity. Increasing the pressure in the abdominal cavity by lifting weights and strains prevents blood from returning to the heart. Then venous blood accumulates in the veins of the legs, increasing venous pressure and increasing venous reflux. As a result, the reversal of the flow in the veins of the legs leads to varicose veins of the lower extremities. Weightlifting is not a great form of exercise for healthy veins. If there's a desire to raise weight, you need to use good techniques. In particular, weights should be weighed down and exercises with a lot of repetitions, exhale when lifting and applying aerobic activity, such as walking or cycling, immediately afterwards, so that the blood again begins to circulate.One should not forget about compression socks during weightlifting or even wear right after it. This helps the blood to move fully upward to the heart. Other exercises can worsen venous reflux. It is best to avoid these actions or to perform them for a very short time in combination with aerobic exercises. Finding a seated position for a long time negatively affects the affected vessels of the lower extremities. If you have to work for a long time sitting or doing a long flight, you can perform a few simple exercises. Start with the position of the legs on the floor. Lifting the heels, while holding the socks on the floor. In this position, hold for a few seconds. Then put heels on the floor and raise their fingers up. Again they are delayed for a few seconds. A similar charge is repeated in each side several times. Legs are lifted from the floor. The fingers of the legs make laps, starting from the inside. To continue in the same spirit takes a few seconds. Then the direction is changed and the circles draw outside from inside for a few seconds. Both directions need to be repeated several times in a row. The leg is lifted from the floor and straightened as strong as possible, while keeping the ankles bent, and the toes pointing upward. Then the leg is relaxed and all is repeated with another leg. Exercise is done with each leg several times. The leg is flexed and the knee is pulled by the hands as close as possible to the chest. At the same time, it is necessary to try to keep the back straight and in such a position delay for a few seconds. Everyone repeats with another knee.Perform the exercise in turn with each knee several times. A 55-year-old woman with reticular and telangiectative pathology of the lower limb veins, which was treated 1 year ago by breast cancer, through bilateral mastectomy. The veins were treated with drugs such as tetradecyl sulfate sodium, glycerol, lidocaine, adrenaline, compression stockings with a pressure of 30 to 40. 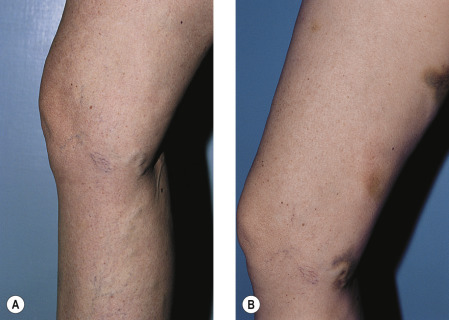 Six weeks after treatment, she developed a tender erythematous band over the proximal portion of the treated vein. In order to eliminate the complications, injections and ibuprofen in tablets were used, with the repeated use of compressive underwear for ambulatory treatment. Additionally, the drainage of the affected area was carried out after 4, 6 and 8 weeks with gradual resolution of erythema and pain. A complete oncological examination did not reveal a relapse of breast cancer. The patient was examined 2 years later to treat a minor telangiectasia with glycerol and its condition was evaluated as excellent. This 45-year-old woman was amazed at the incompetent vein of the subcutaneous and femoral joint. She refused surgical ligation and removal of the large subcutaneous vein. Thus, all reticular, auxiliary and tributary veins were treated with polydocanol. Localized compression with STD foam and short elastic bandage was applied only to the middle part of the thigh. This patient did not apply graduated compression stockings with a pressure of 30 to 40. Acute thrombophlebitis developed 3 days after sclerotherapy. At the same time attention is drawn to the ecchymosis of the compression pad. Simple measures can be taken to prevent phlebitis, although sometimes this disease can not be completely avoided. Early mobilization after surgery or injury. Good care and hygiene when handling injections, as well as rapid removal of intravenous catheters. Cessation of smoking, both active and passive. Wearing compression stockings is recommended to many patients after a phlebitis episode, especially deep venous thrombophlebitis. These and other measures reduce post-flap swelling and the risk of recurrent phlebitis. Most hospitalized patients who have limited mobility or have recently undergone an orthopedic operation often administer a low dose of bleeding blood (heparin, fondaparinux, enoxaparin or other agents) to prevent the formation of a blood clot while maintaining blood in a relatively normal state. This prophylactic dose is usually lower, therapeutic, used to treat existing blood clots. Move with your feet, especially during long seating (for example, during an air travel) or in bed mode. It is necessary to wear compression clothes, especially during travel, sitting or standing for a long period, as well as during pregnancy (in fact, you simply need to make it part of your daily wardrobe!). Avoid high heels except for special occasions (the position of the foot in high heel weakens the calf muscle and prevents correct circulation of the blood). If necessary, you should discuss your personal and family history with the attending physician before considering hormonal therapy.